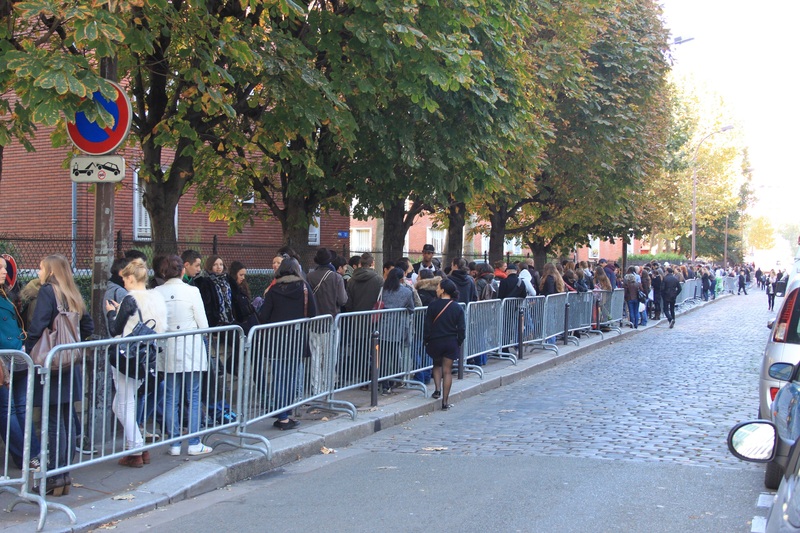 Yes, one can actually write a post about queues in Paris. 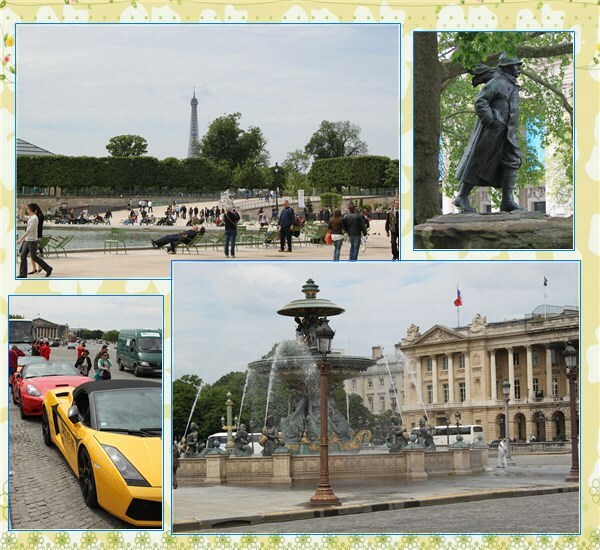 You always have to plan around the amount of people who are going to visit an exhibition or tourist attraction. I normally just turn around and decide to try at another time again, or give up. When you do buy tickets online, you feel like a VIP, walking past the whole queue. One exhibition I have now missed because of queues, is the Tour Paris 13. I really wanted to see this, but maybe not enough to stand for a whole day. Tour Paris 13 is (or was by now) an apartment building from the fifties in the 13th arrondissement in Paris. 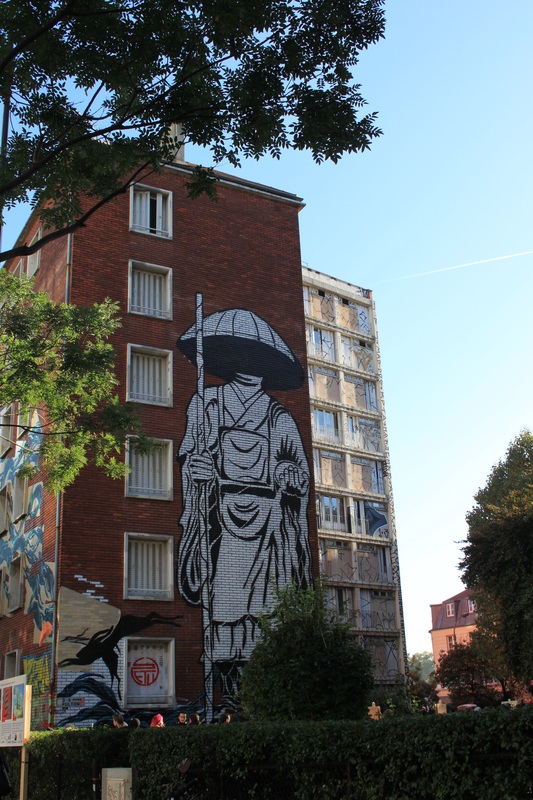 Seven months ago, when a gallery owner in Paris heard that it was going to be demolished, he invited 105 street artists, from 18 countries, to decorate the walls of the 33 apartments with their art. Each artist had at least one entire room for himself. During October it was open to the public. Because the entrance was free, you couldn’t buy tickets before. I now read that there wasn’t much interest in the beginning of the month… why didn’t I go earlier?! 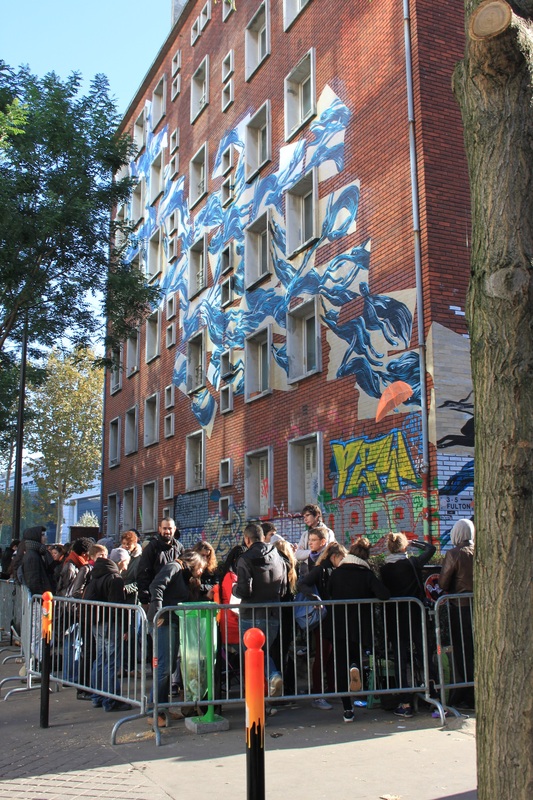 Then by the last week the queue was more than 300m long and they kept the building open day and night for the last three days. People waited for 10 hours in that queue. For safety reasons they only allowed 49 people in the building at the same time, and there were many groups of 49 in that queue. So… after I’ve walked around the building, I took photo’s of the queue and left. So, now you can all do the virtual tour with me. 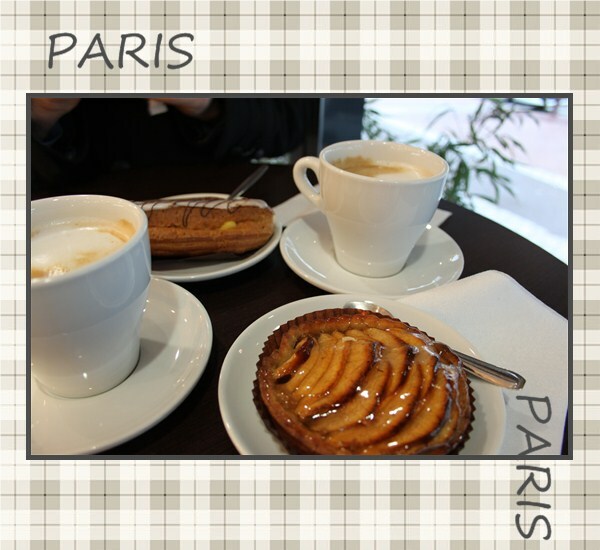 Found here: La Tour Paris 13. Or see the wonderful photographs of someone who was there, Huffington Post. 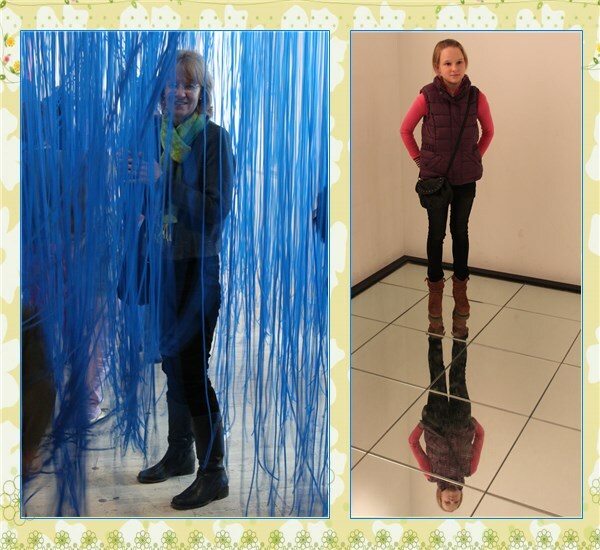 Mother’s day in neon lights. 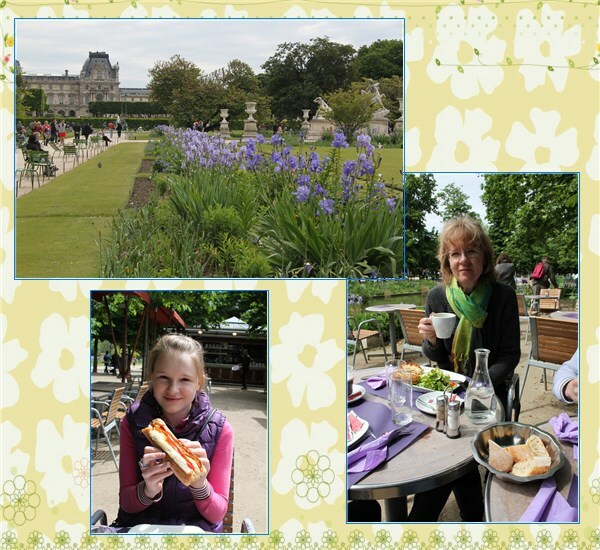 Lunch in the Tuileries gardens. 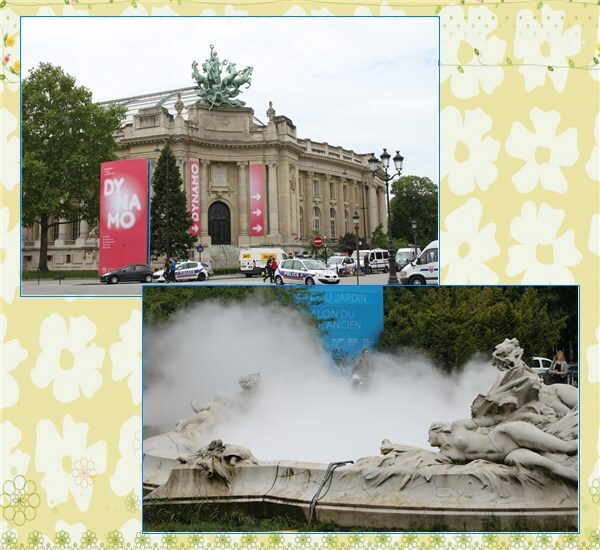 At the Grand Palais there was a queue again to enter the Dynamo exhibition, but it was worth the wait. 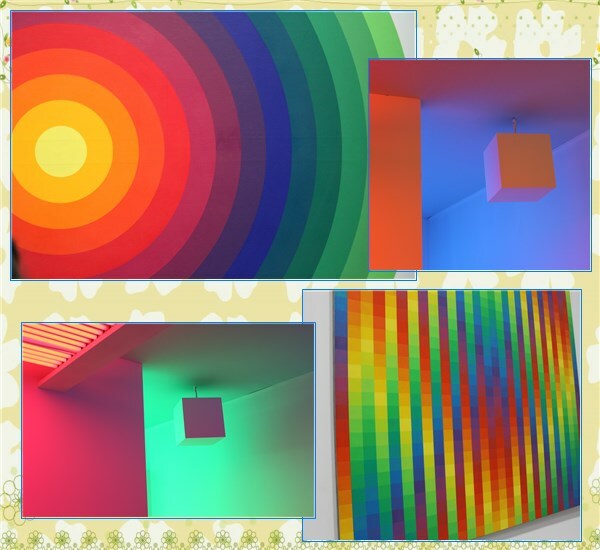 This exhibition is all about lights, optical illusions, mirrors and more. 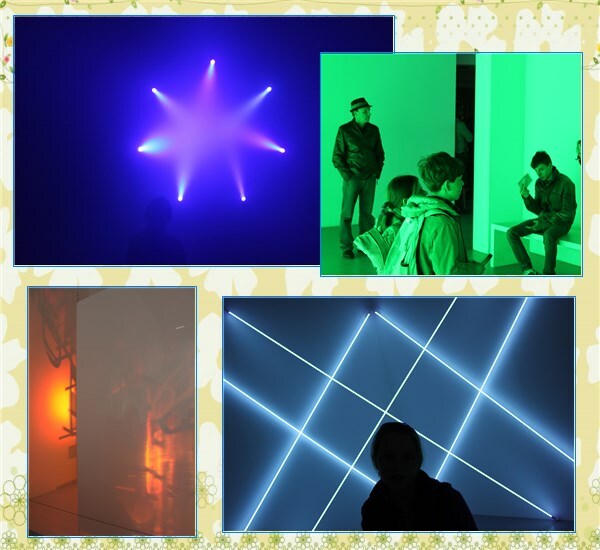 The mist blowing from the fountain is the first installation that you see in this ‘different’ exhibition. 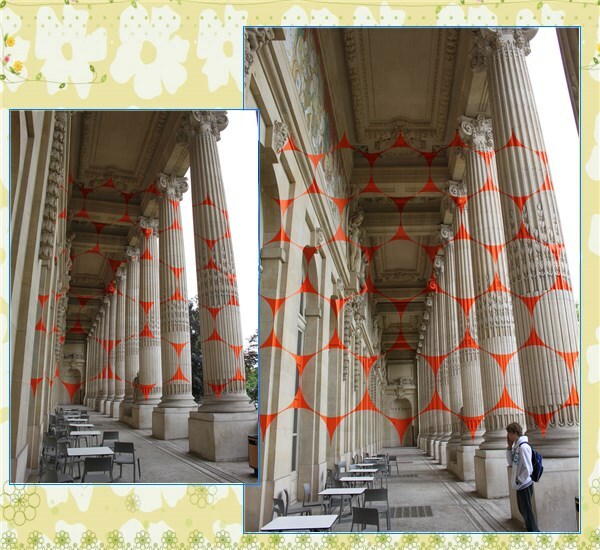 and Felice Varini’s orange circles on the pillars of the Grand Palais. This I did on Tuesday. 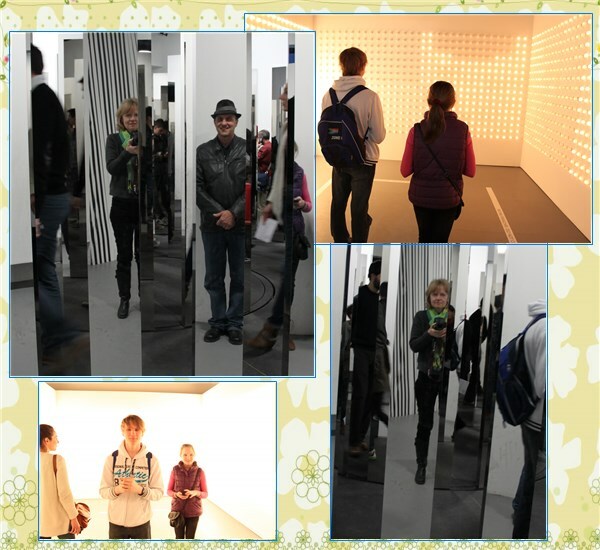 I actually stood in a queue for more than an hour to see this exhibition. 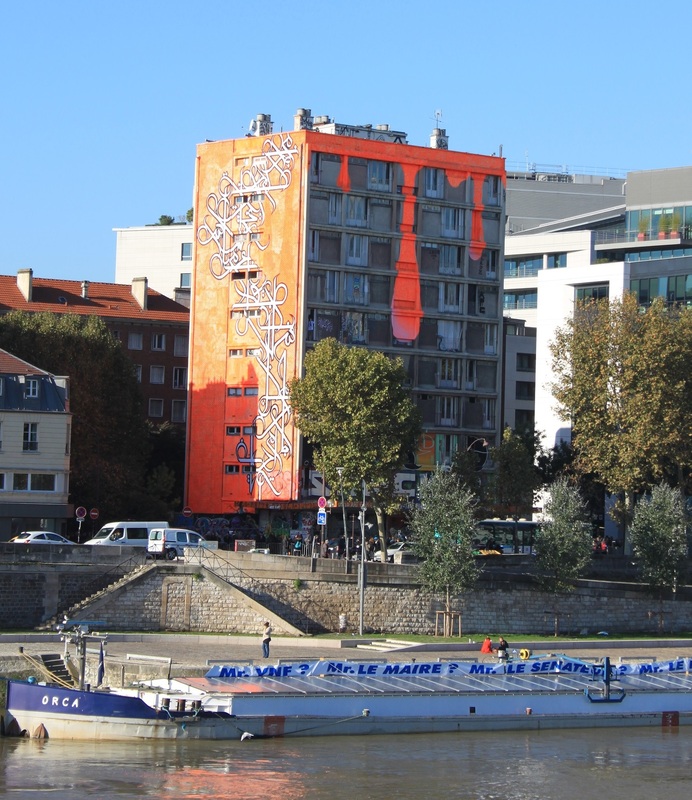 I have to admit that I didn’t know about this artist, but I wanted to see what it’s about, because this was probably the most advertised exhibition in Paris. 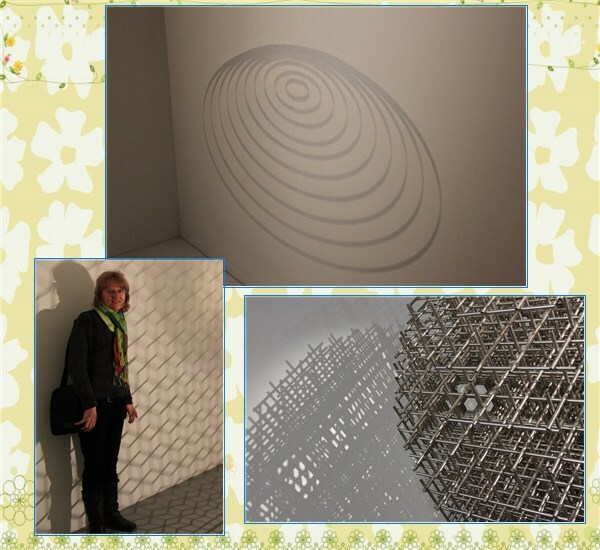 The exhibition was extended also for another week, because of its popularity. 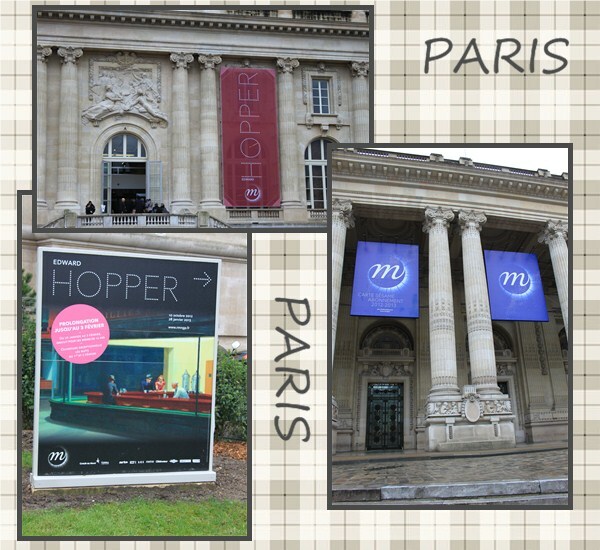 Edward Hopper, an american artist, visited Paris three times as a young man and was influenced by artists like Manet and Degas. Maybe that’s why Paris was so excited to have his works here on display. My first treat for the day was this older man playing piano in the station at Versailles Chantier. These pianos are part of the streetpianos initiative. 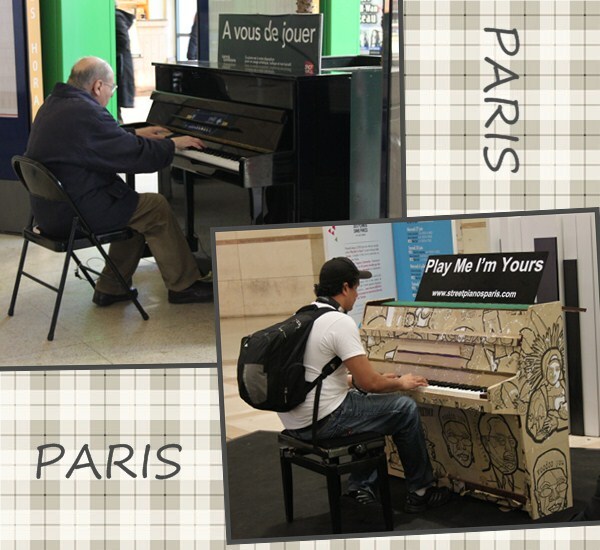 There are 40 pianos all around Paris, standing there for anyone to play and for the joy of the people hearing the music. The first time I saw one of these pianos was the young man playing in the shopping center at Les Halles. Walking from the station, Invalide, I was wondering if one will ever get to a point that you can think I have now seen all of Paris. 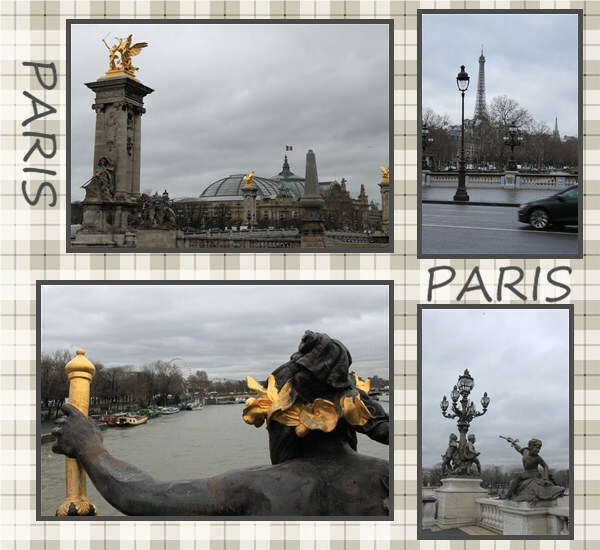 I have seen the pont Alexandre III before, but this time I had to cross it to go to the Grand Palais where the exhibition was held. 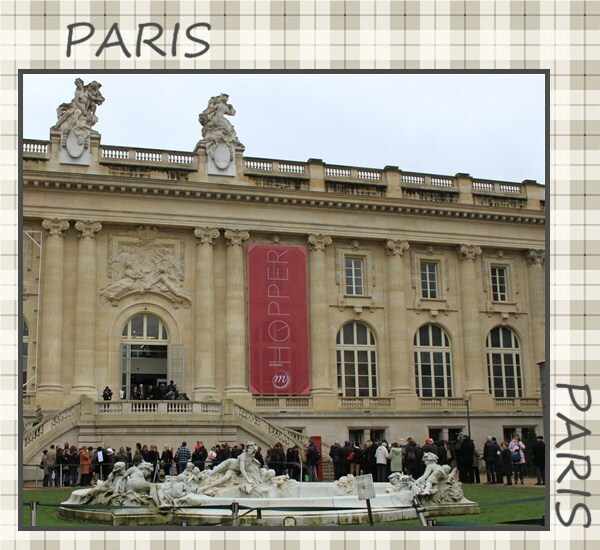 The same goes for the Grand Palais and the Petit Palais just across the road. 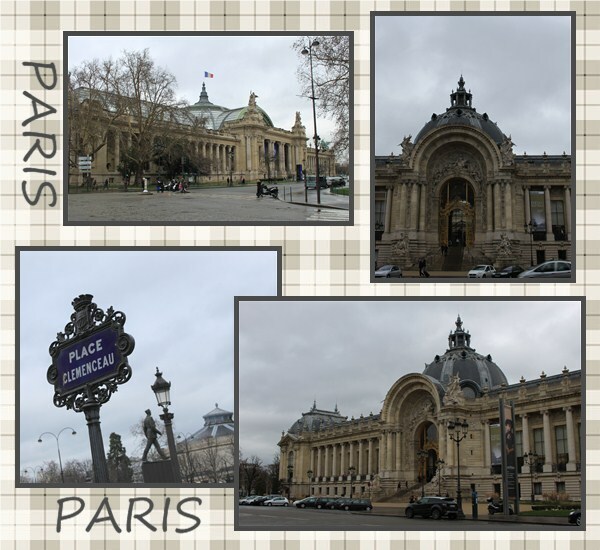 I have walked down the Champs-Elysées many times and saw these buildings from there, but Tuesday I walked around it for the first time.